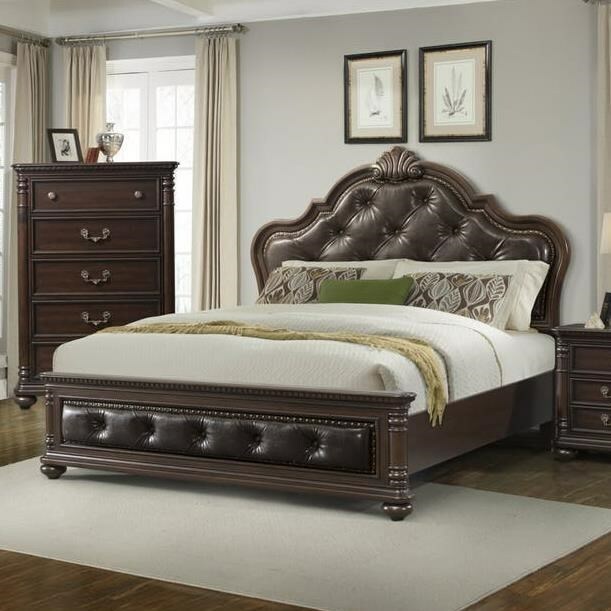 This sophisticated queen bed embodies traditional design with an impressive scalloped headboard culminating with a shell accent centerpiece. 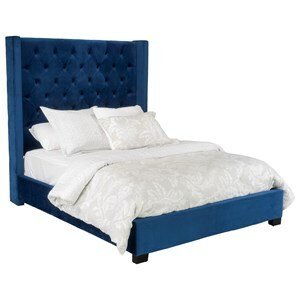 Both the headboard and footboard have upholstered panels featuring diamond button tufting lined with nailhead trim. The bed has other traditional details like bun feet and crown and base molding. Add the storage pieces from this collection and complete a regal bedroom set, fit for a king and queen. The Classic Traditional Queen Bed with Upholstered Headboard and Footboard by Elements International at Miskelly Furniture in the Jackson, Pearl, Madison, Ridgeland, Flowood Mississippi area. Product availability may vary. Contact us for the most current availability on this product.